We at Usersnap are huge fans of asking for and giving feedback. No matter if it’s about getting customer feedback, or internal design feedback. There are a lot of mistakes to make when collecting design feedback. What’s the overall goal of the design and user experience (for your website or app)? Who are the people going to give feedback? What does their context look like? How is the design draft being presented? Through which channels and forms must the feedback be provided? In the following steps, I’m showing you how to get started with design feedback and how to set up a timeless design feedback system for your organization. In order to avoid getting unstructured design feedback, we need to be prepared. No matter if it’s a simple, minor new feature, are a complex enterprise software. 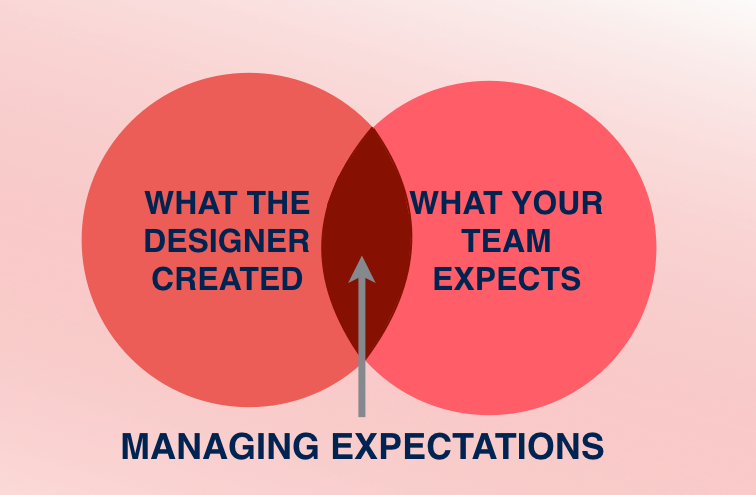 Both, you as a designer and your team, are required to manage each other’s expectations. So in the worst possible situation that could happen, your team has completely different expectations on the web design. In order to align the designer’s expectations with your team ones, you need to keep your project team on the same page regarding the project’s deliverables. What’s the overall goal of your project? What are the project deliverables and its timeline? What are the budget and resource limitations? What are existing guidelines and style guides which need to be considered? What are external factors (influences from markets or competitors) which need to be taken into account? By having established a clear project communication, and project planning, you will save time, effort, and budgets. In this step, we still haven’t sent out a design presentation or a first design prototype. And most importantly, we haven’t asked anyone for design feedback. Because we need to ensure that design goals are met and types of design feedback are defined. Instead of discussing design feedback within informal meetings, it’s worth setting up a specific type of design feedback to drive a design forward. Get feedback on the user flow through a design: During the design feedback, the user and its user journey should be at the core of your design feedback. Discuss the user flow through a design by examining each interaction. Ensure corporate alignment: Compare how several elements are designed and how those new elements match the company’s or client’s style guides and CI requirements. Create room for knowledge exchange: Allow project members and colleagues from different areas (such as development, sales, QA, customer support) to provide feedback from their expertise. When a designer asks someone to review or critique a new design draft, there are not only relevant goals (see above) which need to be considered, but also different types of design feedback. How detailed should the design feedback be? Why is the designer asking particular people for design feedback? If the person asking for feedback isn’t giving clear instructions on what she is specifically looking for, the feedback she will receive won’t be particularly helpful. Besides all those mentioned requirements, goals, and types the design feedback preparation should help you as a designer build trust. Ensuring a safe environment with a trusted feedback provider improves the quality of feedback itself. You’ve done your preparation now and are ready to ask for design feedback. That’s great. Depending on your corporate environment there is probably a variety of options when it comes to “how to ask for feedback”. No matter if you’re presenting your design draft in-person meetings, via video conferencing or via email. As you’ve reached this point you have collected a couple of specific questions which you can now address to the reviewer. Clarify and give context: As a designer asking for design feedback you’re the person in charge of running the design feedback process & meeting. Clarify any assumption and give context on the current state of the design draft. Present the problem, not the solution: When presenting new design drafts, don’t just explain the result (=design draft). Make sure that the discussion is about the problem you’re trying to solve. Discuss feedback: I know how easy it is to send an email (or a Slack message) with design feedback. And we all done that. However, it so much more valuable if the feedback is actually discussed and not just a bullet list of ideas and change requests. So you just asked someone for feedback. And you immediately expect a real-time response. No matter how well you prepared your feedback providers, you should not put too much pressure on them right away. Give people time to think about the questions you’ve raised. To get a really considerate feedback, make sure that the person is not taken by surprise and doesn’t feel rushed. 5. Post-feedback: What happens next? Wow. You’ve made it to through the feedback process. You gathered comprehensive design feedback, encountered feedback discussions with your team. Congratulations. But we haven’t reached the finish line of the design feedback process yet. There is some additional work you must do to close the feedback loop. After all incoming feedback is collected, make sure to communicate the next steps to the people who just gave feedback. Keep them updated through follow-up meetings, new design drafts or information on the next project steps. Having a clear strategy in place for your design feedback isn’t that easy. Especially when it gets hectic. Therefore it’s pretty helpful to internalize the mentioned steps above. 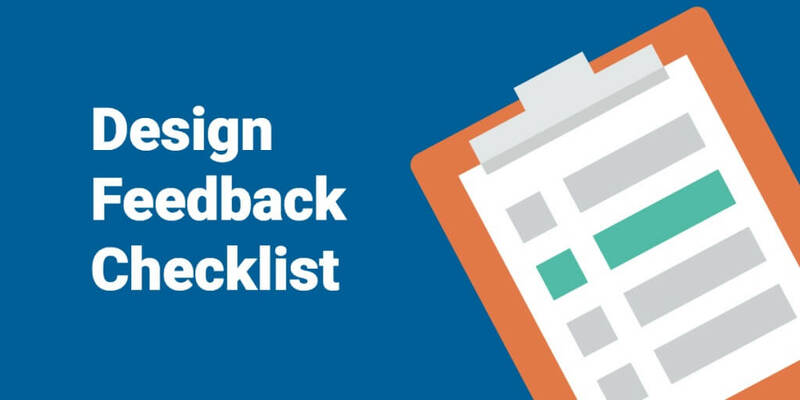 To help you out, we’ve prepared this design feedback checklist which you can download. Feel free to grab a copy to help you out with your design feedback efforts. Time delays, unexpected costs, or limited resources. A lot of challenges can occur during the design feedback process. 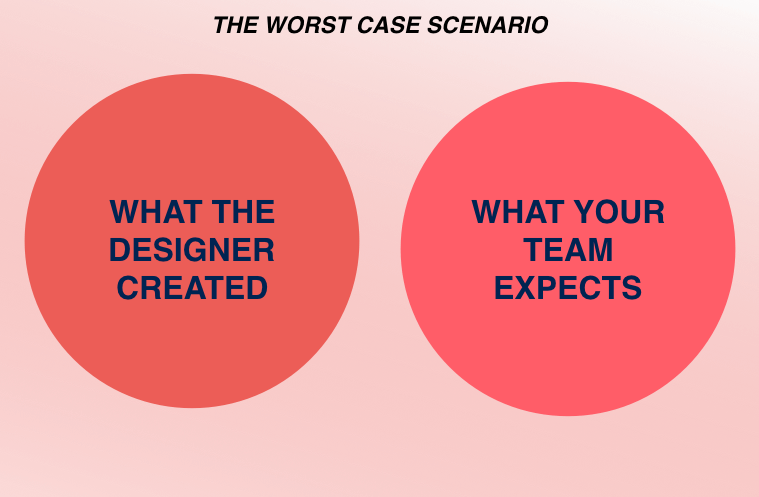 And mistakes can happen by underestimating the role of design feedback. Depending on your project size, managing feedback becomes a real project step. It’s important to have clear workflows and guidelines in place when asking for design feedback.